Definition The main focus of Rustic style is bringing natural materials indoors. There is a big emphasis on unfinished wood, rough stone, and animal skins (real or faux). The color palette mimics the colors of the forest: browns, blacks, dark greens, and hints of rusty red. 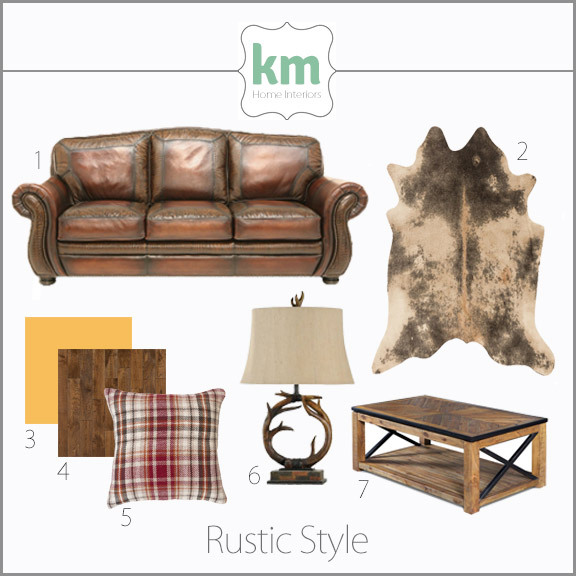 Think of rustic as the masculine counterpart to Farmhouse Chic. Both are homey styles that incorporate reclaimed materials for an earthy, “rough around the edges” look, but where Farmhouse Chic is bright and airy, Rustic is dark and cozy. Within the “Rustic” umbrella there are countless regional variations. The Northeast often sees many log cabins and vintage furniture pieces while the Rocky Mountain region incorporates Native American influences and cowhides. History For as long as there are have been hunting lodges, there has been Rustic style. It’s one of the only design styles that was developed out of necessity rather than an intentional creation of a new look. Used mostly in mountain cabins and lakeside lodges, when these buildings were in use, the weather outside was often unpredictable. People needed a space that helped them escape the elements and made them feel warm, cozy, and secure. The remote locations of these buildings also meant that people had to rely on the materials they found at the build site. This meant wood, stone, and animal hides – all combining to create this timeless style that hasn’t changed much in the last hundred years. Spot the Style Rustic is one of the most easily recognized design styles. 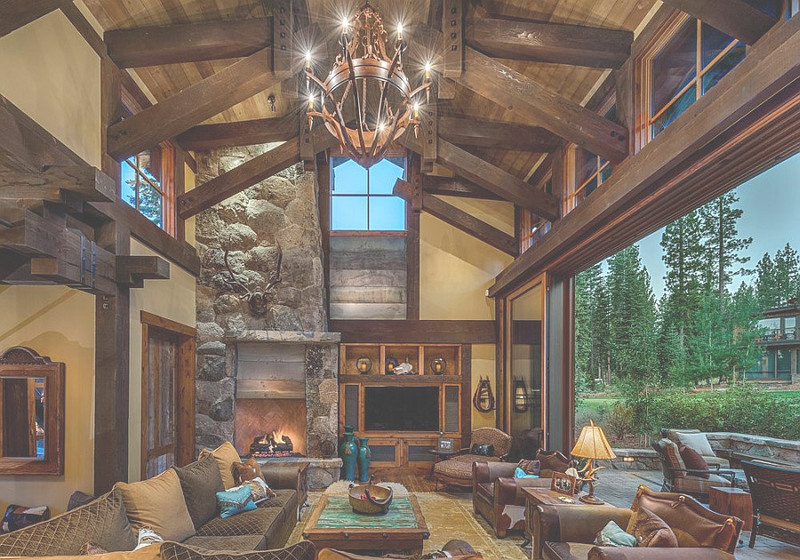 Rustic incorporates rough-hewn wood beams, massive raw stone fireplaces, oversized leather furniture, bear skin rugs, antlers as chandeliers, and plenty of flannel. Usually there is one massive great room that is the hub of the home, a place to unwind in front of a roaring fire after a long day of hiking, fishing, or skiing. Notables The team at Land’s End Development in Minnesota specializes in the Rustic look and they have a huge portfolio of amazing lake cabins that they have created over the years. While it’s not one of the most popular design styles right now (Farmhouse Chic has completely taken over! ), it’s a great look for a fall vacation home. The folks at Land’s End Development have perfected this style. Each of their builds is stunning, but my personal favorite is their Cross Lake 6 project.